For 2019 all bus registration is online only - no mail in applications will be accepted. Please register here to take the bus. 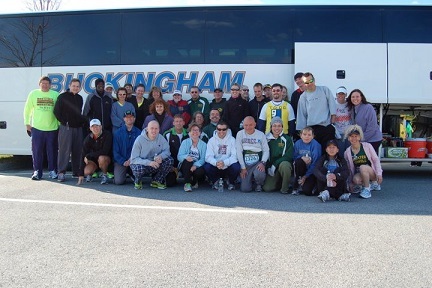 This is Greater Lowell Road Runners bus transportation to the Boston Marathon on Monday April 15, 2019. 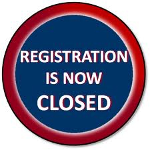 You must be a member in good standing of the club, (you can join /renew here and then come back here to register for the bus) and you must also be an official entrant of the 2019 BAA Boston Marathon. The bus will leave Cauley Stadium in Lowell at 7:30am (subject to change) on race day. GLRR has a policy of waiting for all runners to be accounted for before we leave Boston to return home on race day. The bus typically leaves Boston by 6:00pm. You can decide to find alternate transportation home if you do not want to wait. If you are looking for a ride back only (getting your own way in), please email us - don't register yet. We get 3 hotel rooms at the Park Plaza for our use for the day ; we have volunteers who will be bringing up your bag, plus food and beverages up to the rooms. We have showers, and massages for post race relaxation! Emails will be going out in early April with important race day info. We're sorry - the Bus is either full or the registration period has expired.